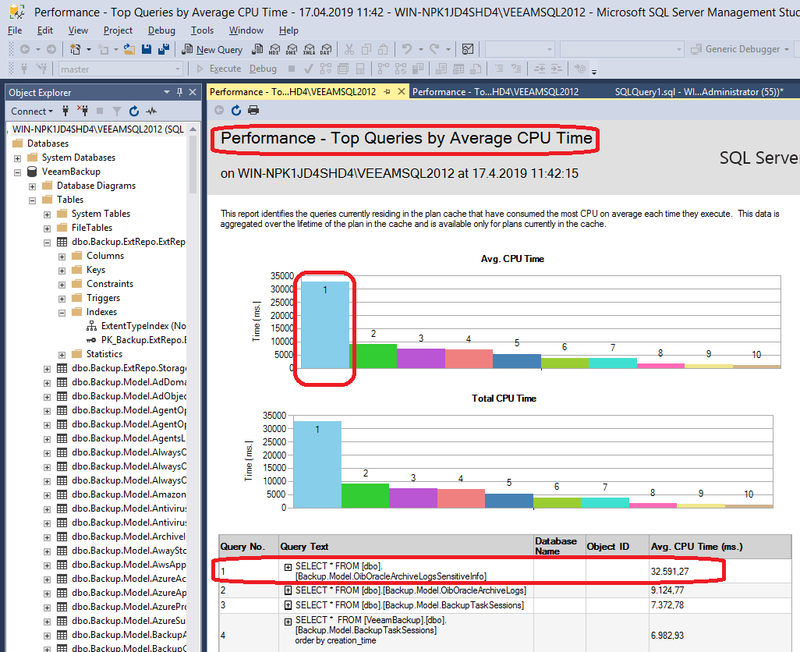 SQL Server running VeeamDB high CPU usage reason may be for records in OibOracleArchiveLogsSensitiveInfo table? We are running veeam backup & replication 9.5 u4 (9.5.4.2615). For a long time first 4 cpu usage of the machine running veeam software is high. After some research we learned that it is because veeam runs on microsoft sql server express edition and this release uses only 4 cpus. Table has 915000 records and there are records related to ~410 days before. 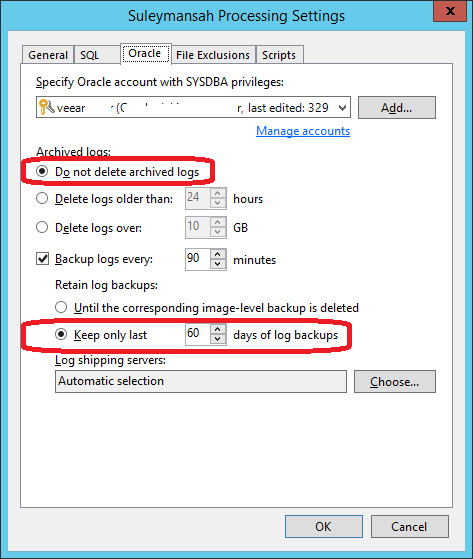 Re: SQL Server running VeeamDB high CPU usage reason may be for records in OibOracleArchiveLogsSensitiveInfo table? That does not look like an expected behaviour. Kindly open a case with support team so they can address that. Once you do please post your case ID. Sadly, our support contract has expired and in the near future there looks no chance to renew it. 1. Can it be so that some remnants of the logs dated 2018-02-25 are still on the production server? 2. Would you collect VBR logs and share the download link via private message, please? Despite all, 32000 ms of querying still looks abnormal. May any indexing in this table be done to increase query performance? We also had SQL performance issues in update 4. Veeam analyzed it and we got an hotfix which is now included in Update 4a. So maybe it might help installing 4a!